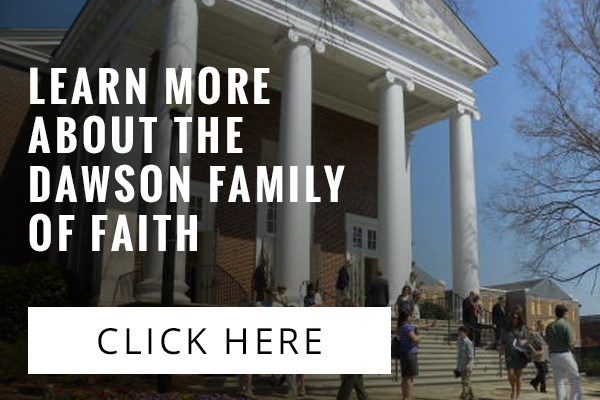 Dawson Music Academy will host a special celebration this Spring. We are excited about celebrating with our students on Sunday, March 17 during our Sunday Worship Service. Click here for details about how to participate. Here are 5 reasons we hope all students will join this celebration. It’s exciting to think back to the beginning of the year and look at the musical progress each student has made. Join together with other Academy students to celebrate the new skills learned this year. There’s something special that happens when musicians join together to play. 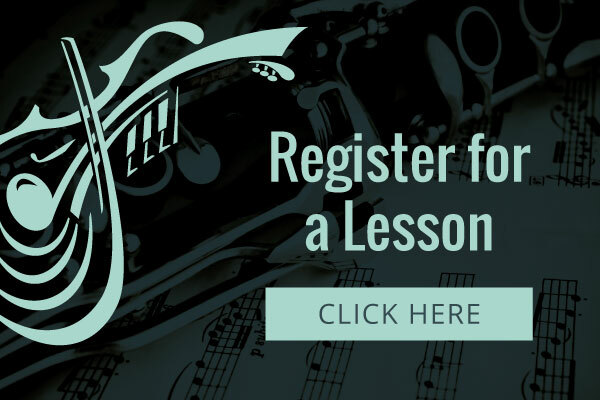 Students playing in one accord develop new musicianship skills and become connected with other musicians. In addition to playing with other students, Academy students will be joined by Dawson Orchestra Members. Students and orchestra members will join together to make a joyful sound in worship. Each student has a unique talent. As students develop their talents, it’s awesome to be able to share those talents with other people and offer their talents in praise to the Lord. After the 11:00 Worship Service, all students and their families are invited to a celebration lunch. Lunch is our treat as we say “thank you” for being part of the Academy. 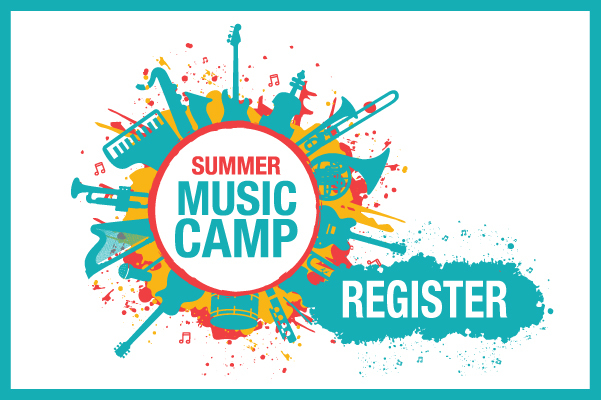 Simply click here to reserve your spot. 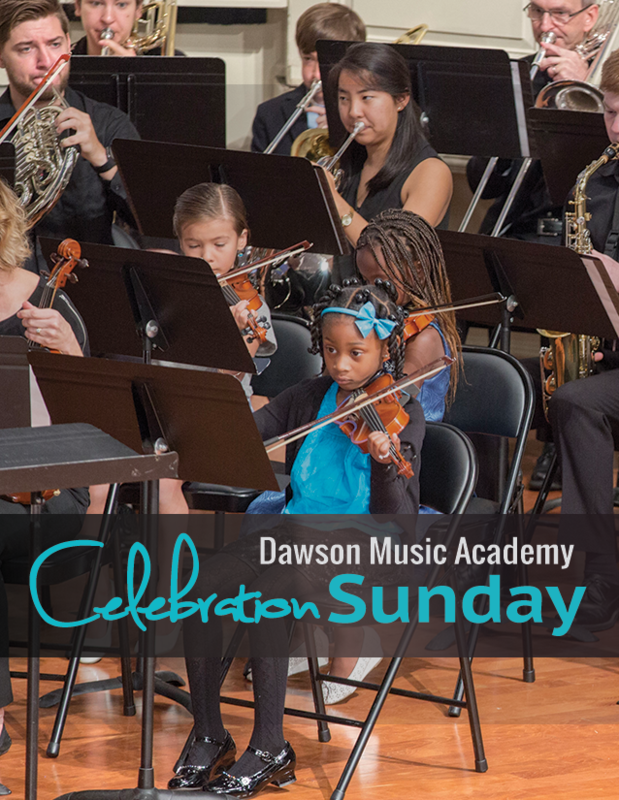 Celebration Sunday provides an opportunity for all Academy students to play together. Academy students and Dawson Orchestra members will play “Amazing Grace.” Orchestra members, a piano ensemble, and vocal students will join together in one accord to celebrate the gift of music. We hope all of our Academy students and their families will join us for Celebration Sunday 2019! Click here to join the celebration.